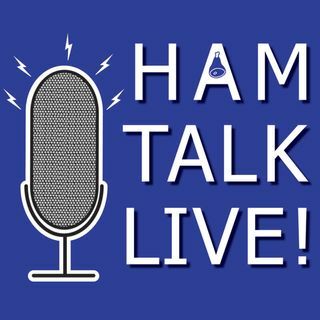 Episode 154 - Operating Portable Events | Ham Talk Live! Sean Kutzko, KX9X will take your calls about operating portable! We’ll be talking up portable #hamradio, including gear, strategies, operating programs like CNPOTA and US Islands, and ways to make your portable ops more fun. Call in with your questions and comments about going portable! Saw your podcast info on QRZ. Pretty cool reconnecting with you and vey cool Sean is your guest. Hey Nathan! Good to hear from you! We used a Tarheel Screwdriver from back of our school bus w/kenwood ts-480 w/12-volt battery to operate from Turkey Run S.P. during Oct.2016 SCR...lots of fun! Arrow II Yagi or Elk log periodic for Sota and satellite work? Enough about Sean. Is Jarvis in the studio? What's his take on portable operations, How long has he been actating parks with Sean, and What is his most memorable portable op that Sean would be too embarrassed to mention?